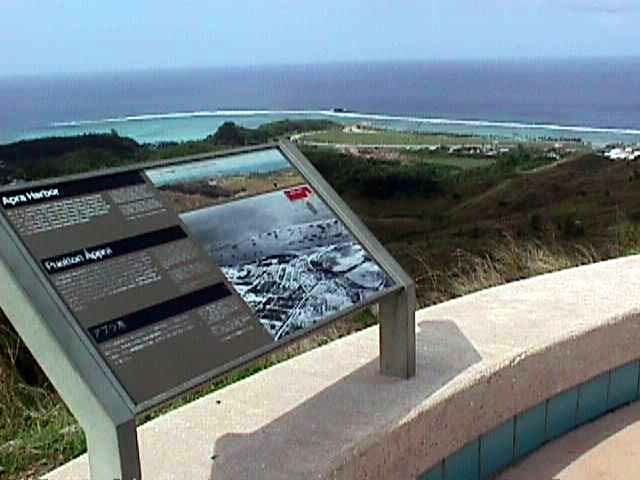 The Asan Memorial is administered by the U. S. National Park Service, and sits atop Nimitz Hill above Asan Beach, one of thelanding beaches during the 1944 liberation of Guam. 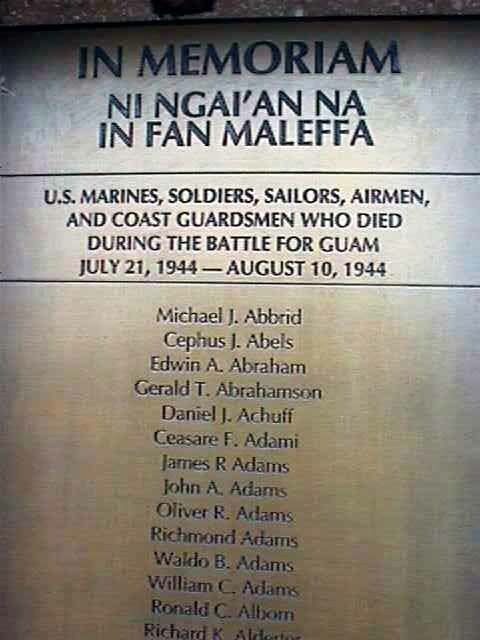 Inscribed in the wall are the names of all the American servicemen who died during that campaign, and the Chamorros who suffered or died due to a war not of their choosing. The War Memorial overlooks Asan, one of the invasion beaches. The Japanese saw about 100 ships off this coast at dawn on July 21, 1944, as the American prepared to invade. When they came ashore, the American soldiers faced the Japanese ensconsed in the cliffs and bluffs from which we now look down, literally shooting down like on sitting ducks. 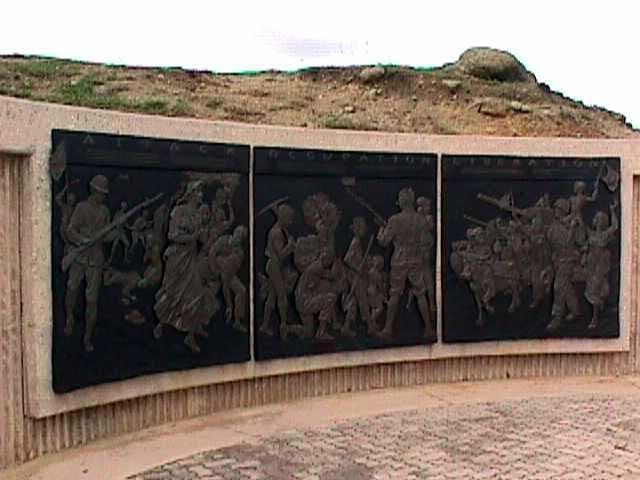 These are the first 3 panels on wall nearest the invasion beach of Asan. 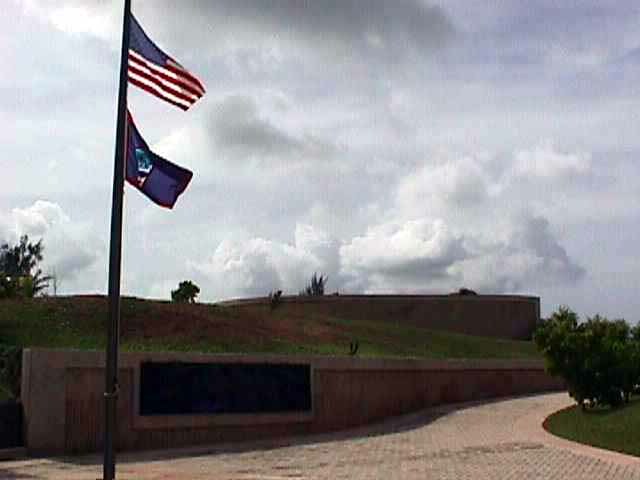 American and Guam flags mark the entrance to the memorial. 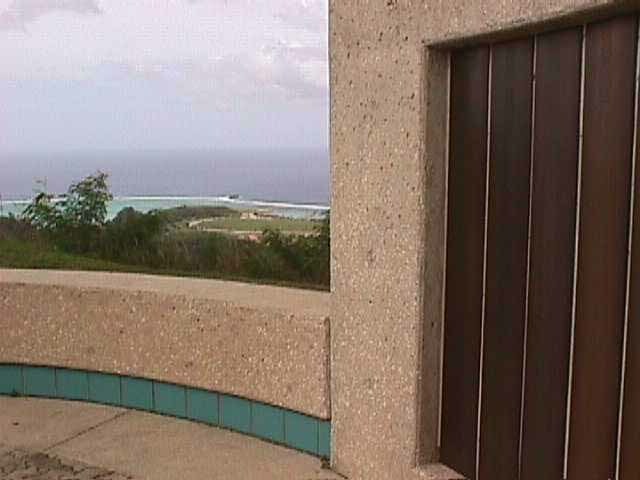 The distant wall is a bronze bas relief showing scenes of the Chamorro liberation by the American forces. 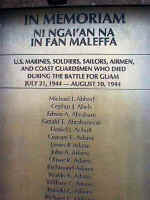 The "In Memoriam" words atop one of the panels. view. The signage explains the campaign, and is written in Japanese, English and Chamorro. 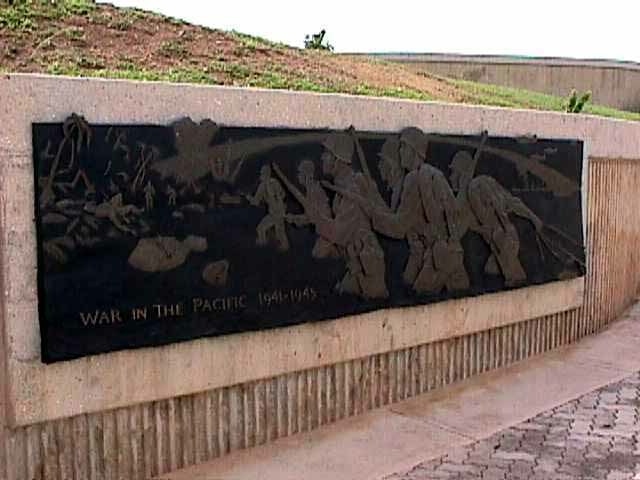 Guam's economy thrives This bas relief liberation scene is on the left of the entrance to the Memorial Wall. This scene depicts the history of the war in three segments, The Attack Dec 10, 1941, The Occupation Years, The Liberation July, 1944. 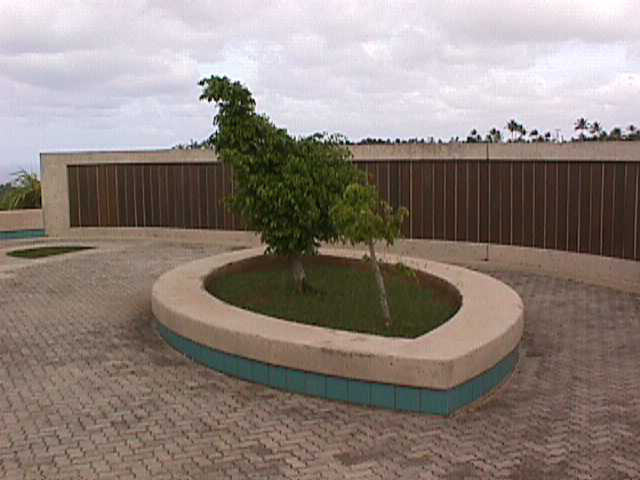 The honored names are in panels in the Memorial Wall which curves around the right side of the oval shaped enclosure. 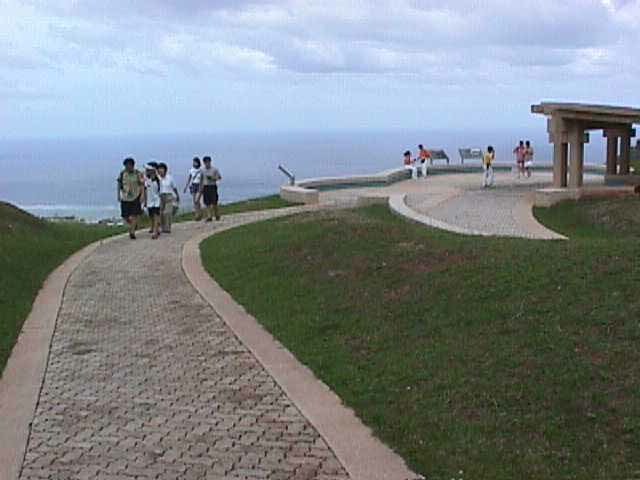 because of the Japanesetourists, with approximately 1.2 million visitors arriving each year. Some veterans or veteran families come, too, and conduct ceremonies honoring their dead, often at a W.W. II Peace Memorial built by the Japanese in Yigo, dedicated to all who died in the WW II conflict.